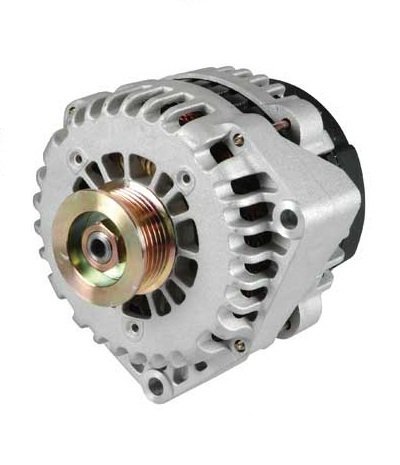 The chief source of power of the electrical system is the alternating-current generator, or alternator. Its shaft is driven by the same belt that spins the fan and it keeps the engine running. It converts mechanical energy into alternating-current electricity, which is then channelled through diodes that alter it to direct current for the electrical system and for recharging the battery.